Lesley "Our trip started with a prompt pick up at our hotel in Goa. The flights had been organised to Delhi where our driver Krissen Kumar collected us in a large, clean taxi. The journey to Agra is a long one but Krissen stopped whenever we wanted. We opted for a 5* hotel in Agra because it was only one night and we were celebrating a 60th birthday with the friends we travelled with. The Radisson Blu ..."
Fall in love with the magnificent Taj Mahal. 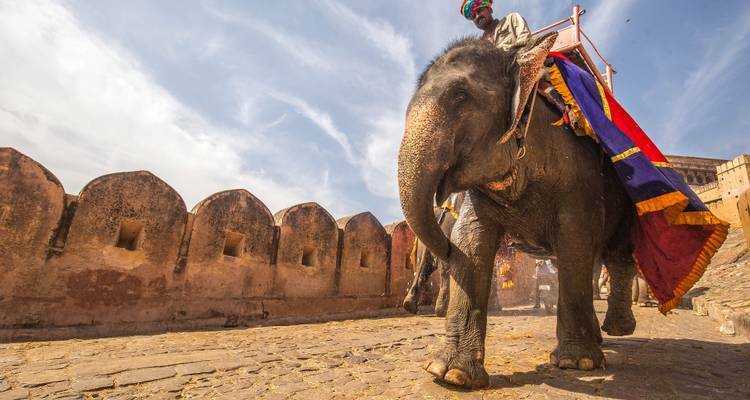 Experience an elephant ride to Amer Fort. Immerse yourself in culture and witness the Ganga Aarti. Glide on a ferry to Elephanta Caves. Start in New Delhi and end in Goa! With the family tour Best of India, you have a 14 day tour package taking you from New Delhi to Goa and through New Delhi, India and 6 other destinations in India. Best of India is a small group tour that includes accommodation in a hotel as well as an expert guide, meals, transport and more. How is lunch and dinner organised during the tour? Your lunch can be taken outside during the sightseeing activity. While dinner can be enjoyed in the hotel or outside at the restaurants nearby. And breakfast is included in the package cost. What are the inclusions of this tour? All transfers and sightseeing by private AC Car/Coach, driven by friendly chauffer. One mineral water bottle per person everyday. English Speaking Local guide as per the tour program. Elephant ride to Amber Fort, Jaipur. I don't understand the difference between Solo Traveler and Single Room Supplement. Please clarify. Solo Traveller means when there are no members travelling in these dates, and only you are travelling. Single room supplement is charged when there are other members travelling and you are taking single room for your tour as the cost mentioned is based on twin sharing basis. New Delhi is the starting point and Goa is the endpoint. TourRadar only requires a deposit of $99 to confirm this GeTS Holidays booking. The remaining balance is then payable 50 days prior to the departure date. For any tour departing before 14 June 2019 the full payment of $1,186 is necessary. No additional cancellation fees! 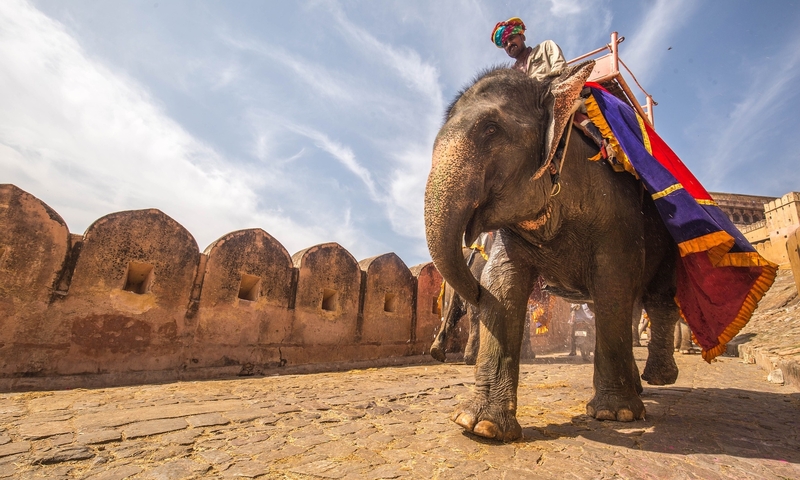 You can cancel the tour up to 50 days prior to the departure date and you will not need to pay the full amount of $1186 for Best of India, but the deposit of $99 is non-refundable. If you cancel via TourRadar the standard cancellation policy applies. Some departure dates and prices may vary and GeTS Holidays will contact you with any discrepancies before your booking is confirmed. Covering a total distance of approx 2,663 km. TourRadar does not charge any additional cancellation fees. You can cancel the tour up to 50 days prior to the departure date. If you cancel your booking for Best of India via TourRadar the standard cancellation policy applies.